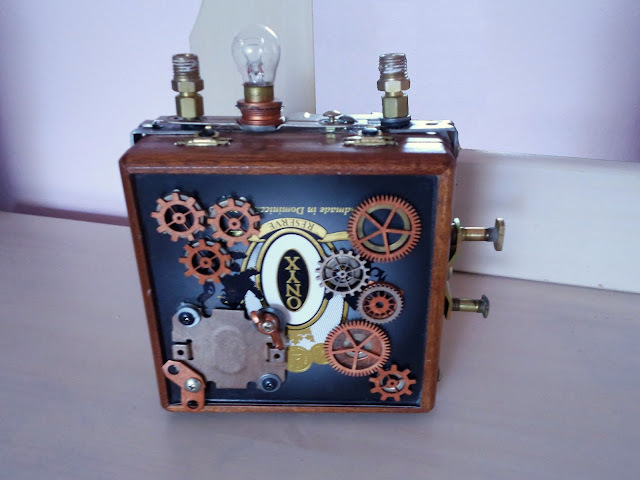 It is made with an upcycled Onxy Reserve cigar box and embellished with a variety of bolts, gears, keys, nuts. washers and other metallic scraps that have been glued and screwed into place as well as a touch of brass and copper paint. So amazing <3 and such a nice present!